Welcome. Choose a product to get started. 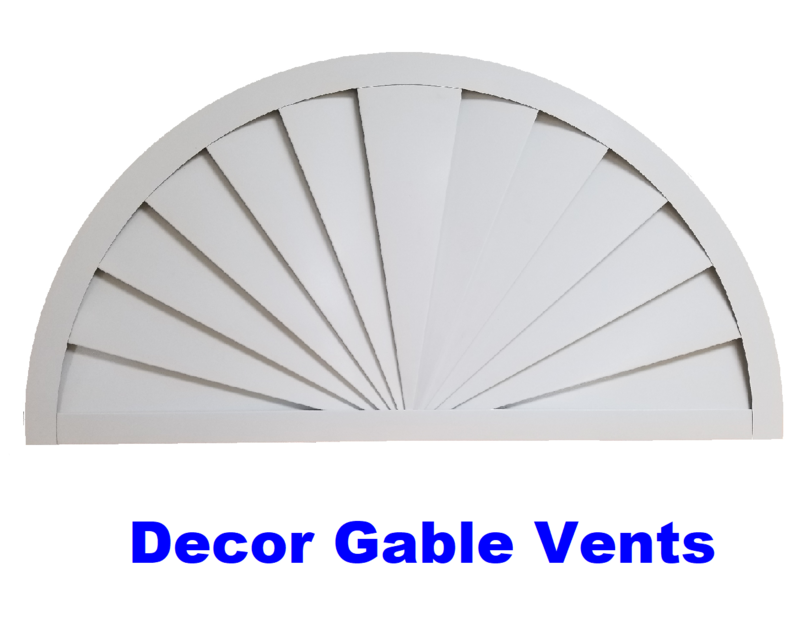 "Why don't other gable vent makers make their vents smaller to fit the opening? I haven't figured that out. But every time I get a vent I have to saw and chisel the opening bigger just a little. But this is wasting my time. Now that I know about your company I can just order the size I need and I know it will be small enough to fit the framing. This is my third gable vent order and every one has fit great. Thank You Very Much." 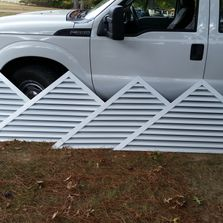 " Best vents I have bought in a while. I have been swindled many times in the past about the best vents. But these are the real deal. The edges are finished nice. The louvers stand up on their own. And there were no screws or staples or even pop rivets showing so I don't know what holds them together but they do look nice. ."
" No that is not my real name. I had those adjustable silver vents in my house. 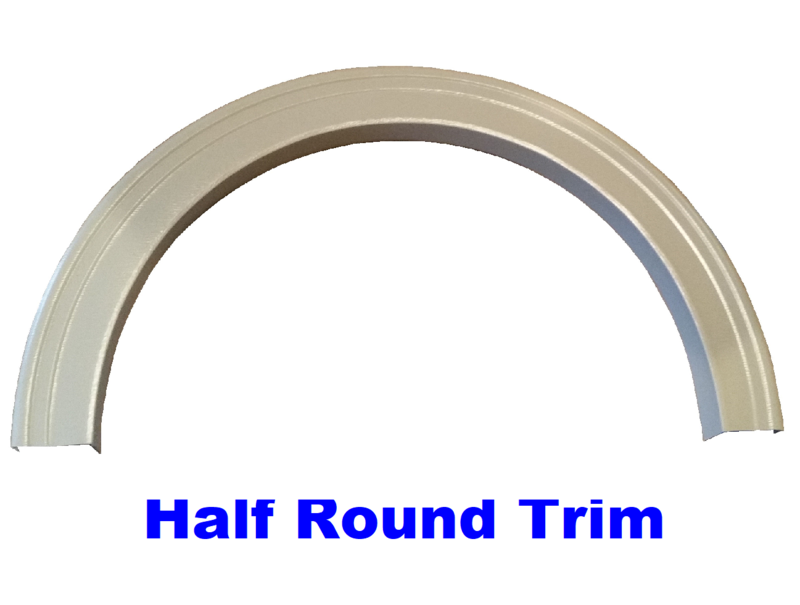 You know the ones that look like they are split or put together down the middle. Well, the louvers or slats fell out one by one over the years and they weren't really silver anymore. I wanted silver again, but I was told how flimsy it was. I run across this place and they had the sterling gray. The same color I had on my trim. That will work. I also took note of the center of the vent not being split. The slats are all one piece. " 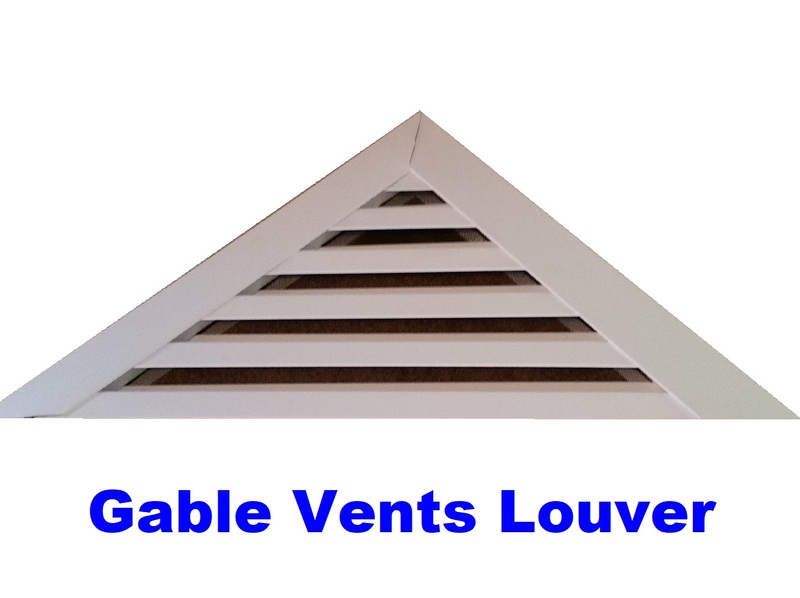 These triangle gable vent measures are represented by width x height, When ordering any gable vent, you will insert the height then the vent width. Most all construction components have changed to this common. 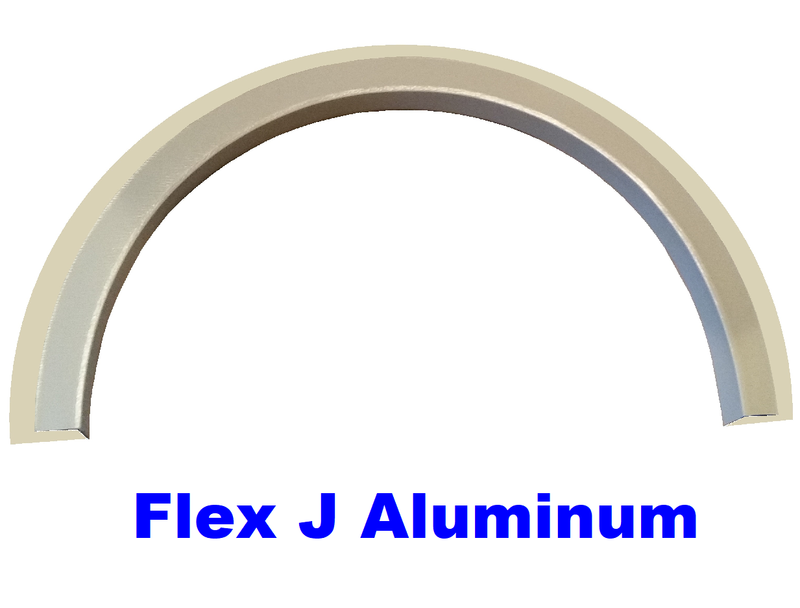 If you do not yet see your product here, you can call or email us and we will custom make it for you. 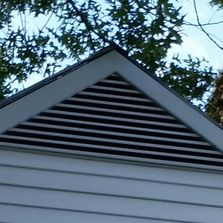 We love custom gable vents and fabrication.